To add your barbel tackle shop or a new river to our barbel tackle shops directory, please get in touch. Please mention Barbel Fishing World when calling any of these businesses. Located in Keynsham, Premier Angling specialises in tackle and bait for the barbel angler. The shop also sells a wide selection of club books and day tickets for the surrounding Bristol Avon stretches. 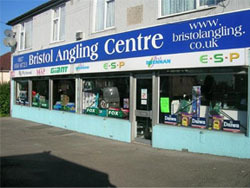 Premier Angling stock thousands of items at our store in Keynsham, Bristol from all the top brands. One of the largest shops in the country, we stock all the leading brands at discount prices. Greys, Korda, Korum, Kryston, Mainline, Matrix, Richworth, Shimano, Solar, Sonik, Spomb, Thinking Anglers, Trakker, Wychwood.